1. Receive the email with the finished conversion. 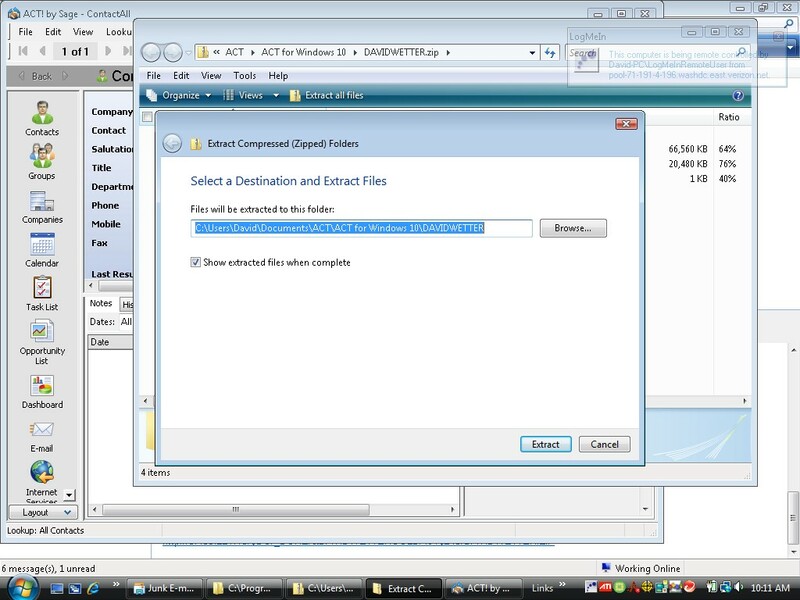 Extract the Database in to the folder that contains the ACT! Databases. When you extract the database, remove the right-most folder name, and replace with the word "Databases" so that it extracts properly in to the correct folder. You may need to customize the ACT! PAD file to suit your drive and folder arrangement. NOTE: If you already have a database of a certain name, and wish to replace it with a version of the database, you will have to Detach the old Database first. ACT! 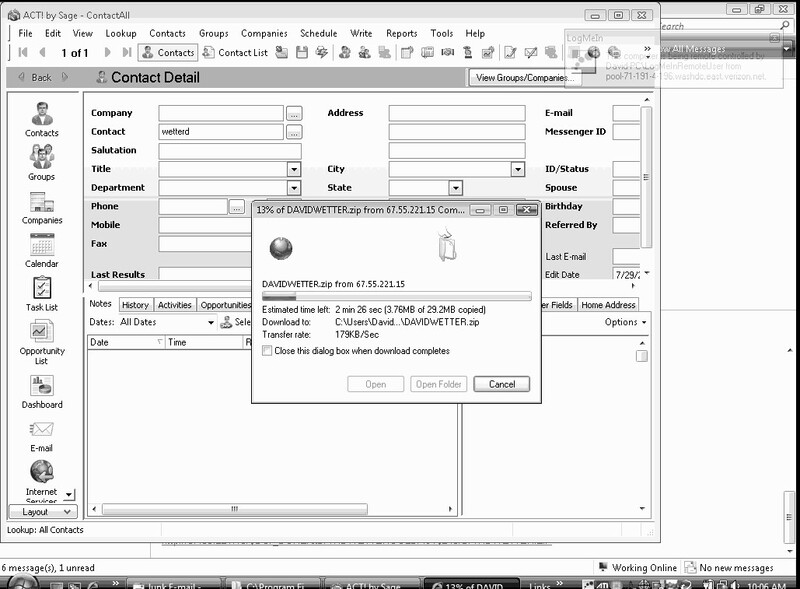 provides a "secret tool" for your organization's Database Administrator use. It is not talked about very much, or on the ACT! menu, so every day users will not know how to detach. subst K: "C:\Documents and Settings\Your\My Documents\ACT\ACT for Windows 10\Databases\GM6toACT10-database files"
If you have 1 license for ACT!, here are the steps to change the user called "ACT Adim"